Z3300a, 2200T, 4400a (and stereo pair), T2, Z5600aII, Gemini II, Gemini III, Gemini 5, G3500, VR1 and VR2. This incredible deal will run for 3 months from 28 July until 31 October. The Project Studio Reflexion Filter, AKA the 'Baby RF' will be available in store at the point of purchase when buying the sE mic of your choice. No on-line registration, no additional online payment, no waiting for delivery and no hassle! When you purchase your sE mic you'll be immediately given the Baby RF free of charge in the store (or by delivery with the mic if ordered online). Importantly, the Baby RF is an acoustic product, which really works, whereas cheap 'foam only' alternatives may actually harm your mix, rather than help it. Foam acoustic products allow most frequencies to pass straight through with very little absorption, and are only really effective for HF (High Frequency). They may be cheaper, but they can actually make a mix worse, not better, removing HF which later needs to be added back in, creating noise, while leaving the problematical mid and low frequencies completely untreated. With Multiple layer technology, RF products are portable devices, which really work. The Baby RF draws on the massive success of the industry standard Reflexion Filter, and sE have released this new version in response to a raft of cheap and ineffective imitations coming from OEM brands onto the market. None are able to match the performance of the original RF since they have to omit key elements of design which are fundamental to the proper function of the product, due to the patents sE have pending on the original RF; in other words they may look similar but that's where it ends. 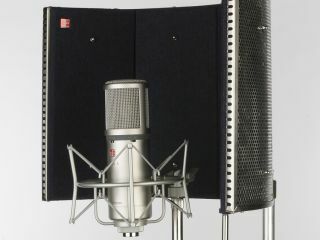 sE are not encumbered in the same way, and so have managed to produce a Reflexion Filter, which though cut down from the Pro version, performs far better than the cheap copies, and allows the project studio owner to get closer to the pro performance of the RF, which itself has sold more than 50,000 units in the EU alone since its release. The Project Studio RF uses the same basic design, omitting the multiple layers and acoustic boundaries of the pro version and replacing them with the same, patented, polyester acoustic board that graces the RF. The new baby RF is then lined with a high grade, high density crystal foam with a unique curved ridge cut which, together with the acoustic fibre board performs far better than standard acoustic foam. The result is a true Reflexion Filter product, designed and built by sE, which does the job and is estimated to hit the streets at a stunning £120 inc vat (c.€110 ex vat), now FREE while this offer lasts. sE X1 and Project Studio RF bundle at £199 inc vat (c.€200 plus tax)- a true, hand built, Large Diaphragm Condenser and Baby Reflexion Filter product sell for only £199 including vat; less than key competitors sell price on a mass produced mic with a pop shield. sE2200a and Reflexion Filter Bundle - sE's No.1 selling mic, with the best selling portable acoustic product on the market today bundled with the shock mount in one box and expected to sell for around £330 (c.€345 plus vat). This is a star buy since they are 2 of the best selling products on the market right now. A sure fire winner.